Colleagues at my business group often comment on how quiet January is after the run-up to Christmas. Happily, we buck the trend because January has flashed past with workshops and courses booked up and lots of fabulous sewing projects on the go. A number of new sewers joined in January, thank you, I’m looking forward to our sewing adventure together. In the last newsletter, I brought you news of my new JWCT Programme to replace the withdrawn City & Guilds courses. Starting a new course is exciting but with an element of worry about whether anyone will actually want to book onto it. I am delighted that both the Monday and weekend sessions are fully booked with a total of 12 very enthusiastic sewers. If you missed the course this time around or weren’t ready to start, the next block of tuition starts in September for four months. For more information have a look at www.janewhitetuition.co.uk or get in touch. If January has gone in a flash so has the past five years! I moved into The Ropewalk on the 1st February 2013 after working from village halls and home for a number of years. I became an expert at packing the car and setting up tables but, with the limitations of availability and space, (not to mention my house packed to the rafters) I couldn’t offer the range of courses I wanted to and did, at one stage, consider closing the business and doing something else. However, I was lucky enough to be offered a studio and thought I’ll give it a go for six months. Five years on and a move into a bigger space, I have the most amazing time with you lovely sewers who make it all happen. I can’t imagine doing anything else and I know I am lucky to do something I love. Thank you to everyone who has come along and my thanks to the staff at The Ropewalk for their hard work and support. If you are thinking of signing up for a workshop or course you are very welcome to pop into the studio for a chat and have a look round The Ropewalk galleries, shop and cafe. As always, if I can help at all with your sewing please just get in touch. 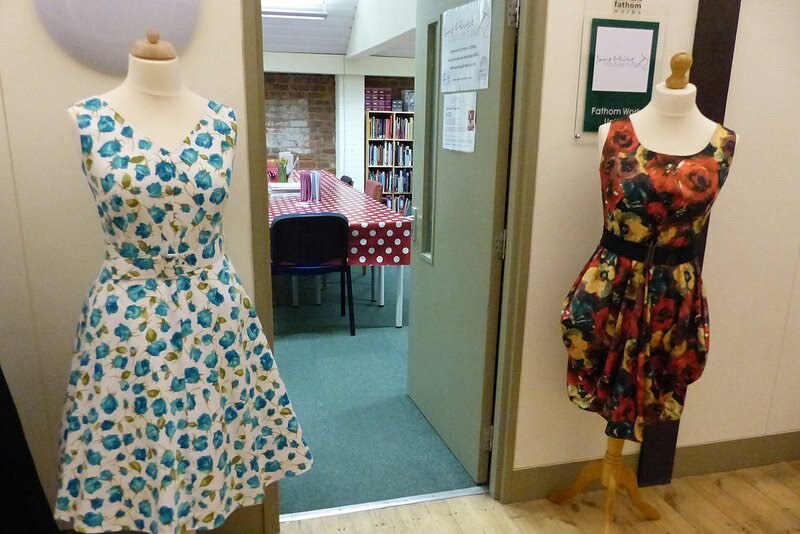 Use an overlocker to make yourself a fabulous jersey garment. Conquer your machine or try one of mine out, they’re not as scary as they look! Please note: this session is at Jaylaurs in Brigg. Contact them directly on 01652 650047 to book. Adapt a pattern, make and fit a calico toile to create your own version of this timeless classic. Discover the inner construction of this unique jacket. 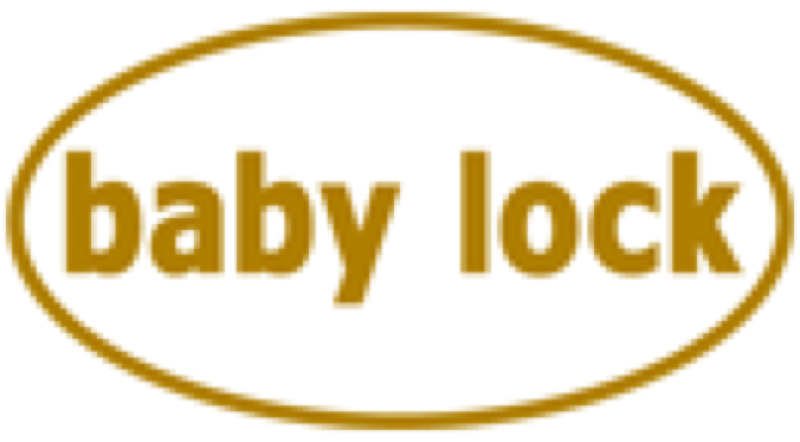 If you are new dressmaking or find it difficult to decide which pattern style or size to choose this three-hour session will help. 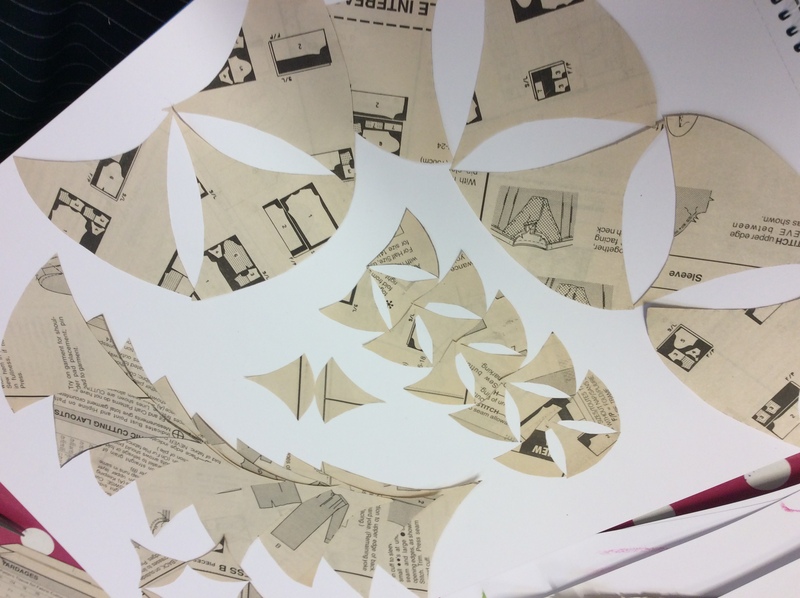 Discover a world of different interfacings, how to sew couture with interlinings and proceed beyond the obvious for lining your garments. Sewing Bee Yvonne has introduced the lovely Eve to the world of sewing and she is hooked! In a school system where practical skills seem to be on the decline, or if you are in a family of non-sewers, it is sometimes difficult to learn how to sew. An enthusiastic Eve is enjoying time learning with Yvonne. They started with small craft projects and have rapidly moved onto clothes. 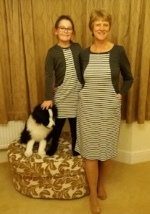 Yvonne has made three versions of the Sew Over It Heather dress and helped Eve make a pattern for herself and then her own version. 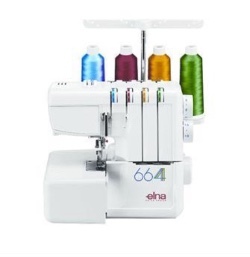 Jane White Tuition is an official supplier of Elna sewing machines and overlockers and Babylock overlockers. Contact Jane for a free, no-obligatio n demonstration.